Book Day!!! Linking up with Steph and Jana. I absolutely loved everything about this book! I loved the cast of characters, the plot, and honestly..it was just a very realistic book. Not everything was perfect, and you didn’t get everything wrapped up in a shiny bow in the end. I laughed more times than I thought I would, had tears a few times…basically all the feels. I am off to request everything else by this author. I really enjoyed this book, even more than the last one I read of hers. There was a lot of depth to the story line, and I found myself having a hard time putting it down. It made me think of what I would do in these certain situations. At times the book was heartbreaking, and you just didn’t know who you wanted to pull for. I really enjoyed Crazy Rich Asians, and couldn’t wait for the second book! This one focused on several different story lines, instead of having the main story line of just Rachel and Nick with little side stories. I enjoyed that more, but I think I liked the first book better overall. The whole culture is just super interesting to me, and I plan to read the next one and I want to watch the movie. Bottom Line: Read it if you are in to this series. Every one of these are on my TBR. Little Fires everywhere, I picked up and put down a couple weeks back. I think Im more in the mood now. I need to finally read a Celeste Ng book seeing as everyone loves them so much. Yay! I too loved How to Walk Away and I feel like we already talked about this but I’m so excited for her new one too…I’m not sure how much longer I can wait to read it so it might happen this weekend. Haha. PS – Definitely check out Happiness for Beginners – that one is still my all time favourite of hers but I think I already told you that. The Lost Husband is becoming a movie this year with Josh Duhamel so you should read that one sometime too!!! I have been dying to read How To Walk Away and now I am going to pull the trigger!! I’m still up in the air about continuing the Crazy Rich Asians series. I enjoyed the first book, but usually they don’t get better as the series goes on. Maybe someday I’ll get to it! Little Fires Everywhere is a book I like more and more as I think about it. I wasn’t sure if I’d read her other book, but I think I probably will at some point because I enjoyed her writing so much. I’ve read (and loved) all the books you mentioned aside from The Wedding Date – but I’ll probably add that to my list now! I’ve heard good things about How to Walk Away, so I’m glad to see you really loved that one. I’ve never read any of the Crazy Rich Asians books but I LOVED the movie, and I’m excited there is going to be a second one. I think I’m one of the few who really enjoyed How To Walk Away. I also liked Little Fires Everywhere. I wasn’t a huge fan of Crazy Rich Asians. However, I just saw the movie and it was great! I likely won’t continue reading the series though. I liked How to Walk Away much more than I thought I was going to. I always love when that happens. 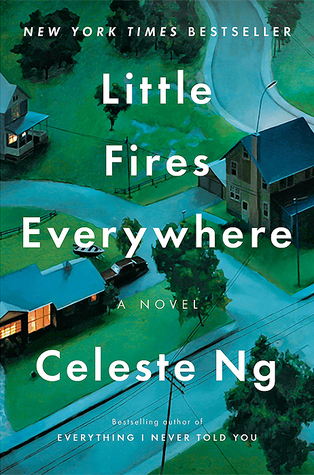 I loved Little Fires and also thought it was a better read than Ng’s first. I loved Little Fires Everywhere. I got sucked into the Crazy Rich Asians series, overall I loved how ridiculous they were. yay how to walk away!!!! so happy. happiness for beginners is my fave, and her new one is on netgalley but i haven’t gotten to it yet. i think i am going to read the next crazy rich asians book because i am curious about a couple of the storylines. and now i feel like i know what to expect. i hope you like the wedding date! i feel like 50% of my friends have hated it and the other 50% have loved it haha. I just recently watched Crazy Rich Asians. I definitely will check out that book. 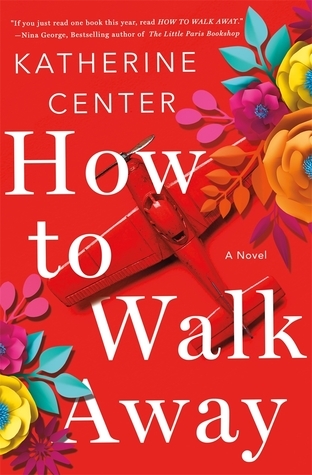 My book club chose how to walk away for our next book and I am starting it tonight! I needed to go back and reread china rich girlfriend, I don’t think I paid good enough attention. I did not really enjoy How to Walk Away but it’s not really my kind of book so it makes sense. LFE was fantastic. I still haven’t read a Celeste Ng book and I really need to do so. Hope you enjoy The Wedding Date. It’s a cute, fluffy read. I love Little Fires Everywhere – I’m glad you liked it!! 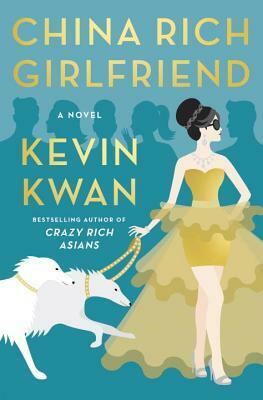 I got Crazy Rich Asians, but it expired before I could finish it – I need to get back on the list! I LOVED How to Walk Away. Did you request Things You Save in a Fire from NetGalley? It was super good, too! I haven’t read Little Fires Everywhere yet, but I finally did get a copy! I’m so far behind on reading – always late to the game. I’ve not read any of these but heard about them all – I still want to see Crazy Rich Asians movie! I also really really loved How to Walk Away, especially how realistic it felt. She’s coming out with a new one in August (I think), and I’m pumped for that as well! 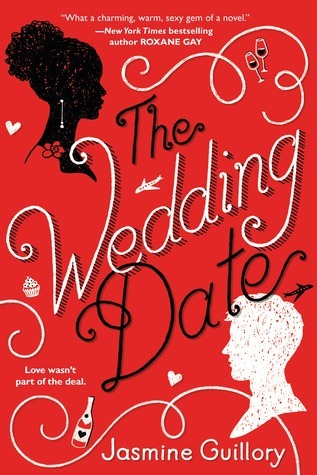 I liked The Wedding Date; if you like rom-coms, I’m sure you will too. I loved How To Walk Away! I liked Little Fires Everywhere. It’s going to be a Hulu show which I’m looking forward to. I’m still holding out on the Rich Asians book.. ALTHOUGH the 2nd book (that you posted about) has me interested because I’m 99% confident those are Borzois on the cover and I’ve always wanted a Borzoi but they shed soooo horribly, I cannot. We debated this in the Sighthound Underground rescue group I’m a part of and we concluded DEFINITELY sighthounds, even if they aren’t Borzois. I know that had nothing to do with books, butttttt well… It kinda was? I didn’t read Crazy Rich Asians but I LOVED the movie. Maybe I’ll read this one? never heard of how to walk away, checking it out now. thanks! I really enjoyed little Fires Everywhere! Looks like you had a good month of reading! Little Fires Everywhere was SOOOO GOOOOOD. I also loved the Wedding Date – hope you do too! I want to read Little Fires Everywhere! Not least of all because it’s set in Ohio in a small community just north of me. And The Wedding Date sounds really good, too! Hope you’re enjoying it! !